On Sunday, March 13, in Grand-Bassam, Côte d’Ivoire, 19 civilians and three soldiers were killed in a terrorist attack that surprised many in the country, which is emerging from a decade of conflict and electoral crises into one of Africa’s fastest-growing economies. What do we know about the target, Grand-Bassam? Bassam, as it is commonly known, was the French colonial capital city in the 1890s and still retains much of the architecture of that period (although it is severely run down). The town has been named a UNESCO World Heritage Site. Bassam is the closest beach city to Abidjan, Côte d’Ivoire’s largest city. It is about 25 miles away and easily accessible by shared transportation. On weekends, Bassam hosts a mix of both expats and Ivorians. March is the hottest month of the year in Abidjan, and with temperatures in the 90s, folks looked for a beach respite last weekend. During our respective Fulbright tenures in Côte d’Ivoire, we visited Bassam and its many festivals and museums. The city is well known for hosting the Abissa festival, a celebration of the N’Zima people where “anything goes.” Abissa offers a chance to publicly denounce any transgressions one has committed, to confess to any wrongdoing and to bring about social harmony. 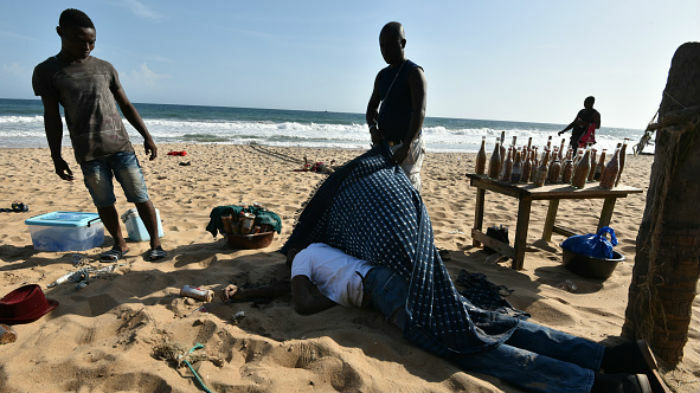 Unlike the terrorist attacks in Bamako and Ouagadougou, which targeted hotels and restaurants where Westerners gather in the capital cities, this attack appears to have claimed primarily Ivoirians relaxing on the beach. This may be because the government increased security force presence in Abidjan after the Bamako and Ouagadougou attacks, leaving smaller towns like Bassam relatively vulnerable. Yes, but its stability was only recently achieved. In 2010–2011, an electoral crisis left 3,000 dead in Côte d’Ivoire. 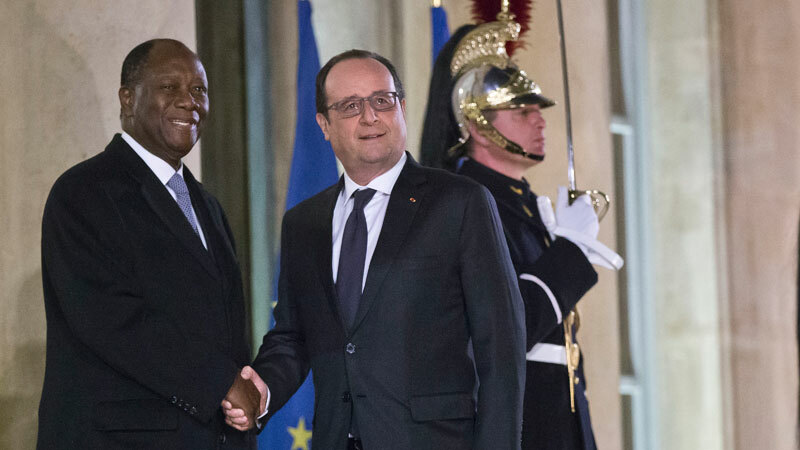 The crisis ended when French forces helped current President Ouattara retake Abidjan. Now, former President Laurent Gbagbo is at the International Criminal Court (ICC) on charges of crimes against humanity. Just last month, during Gbagbo’s trial, he accused France of not wanting peace to be negotiated during the crisis. Since the crisis, Côte d’Ivoire’s economy has grown significantly and is estimated to continue to grow at more than 8 percent per year. Highly visible examples of growth include large infrastructure projects financed by France and China transforming Abidjan’s landscape; the International Cocoa Federation in the process of moving from London to Abidjan; and Heineken building a brewery in Côte d’Ivoire to be completed in 2017. In 2014, the African Development Bank moved back to Abidjan from Tunisia’s capital in Tunis, where it had been headquartered throughout Cote d’Ivoire’s period of instability. Although the United Nations Operation in Côte d’Ivoire (ONUCI) has been present since 2004, its operations have been winding down, reportedly for good in 2016 or 2017. ONUCI’s original mission was to facilitate peace agreements during the civil war, and its only remaining mandate following last year’s peaceful elections is facilitating security sector reform. Although stability has returned to the country, it still remains fragile. A disarmament, demobilization and reintegration (DDR) program led by the Ivorian government ended in June 2015, with the government claiming that 90 percent of its goals were reached. However, concerns of arms still abound, as some ex-combatants were not integrated into the military and remain in hiding or exile. Furthermore, there still remains a sense of victor’s justice by those in former president Gbagbo’s camp as well as the international community. The only individuals facing charges are Gbagbo supporters, despite consensus that Ouattara’s men played a role in the crisis. This perception could have destabilized the political situation in ways that terrorists could take advantage. Is the Bassam attack related to al-Qaeda–linked attacks in Mali and Burkina Faso? After the attack in Mali at the Radisson Blu hotel, al-Qaeda of the Islamic Maghreb (AQIM) pledged to continue targeting French allies in the region. No more than three months later, AQIM-allied groups claimed responsibility for the attack in Ouagadougou. After the attack in Ouagadougou, Côte d’Ivoire and Senegal were both warned of similar attacks. AQIM has claimed responsibility for this attack, which is outside the group’s usual operating zone in the Sahara and Sahel regions. One statement from AQIM includes the names of the attackers, two of whom are from the Sahel rather than North Africa, illustrating that AQIM’s reach into West Africa is growing. Does the attack have anything to do with the elections? No. Last October’s elections were calm, and the incumbent president, Alassane Ouattara, won by a healthy margin. The pre- and post-election period saw virtually no violence, a dramatic change from previous elections. However, this attack could have ramifications for legislative elections to be held in December this year, as well as for an upcoming constitutional referendum scheduled for later this year (dates have yet to be announced). The referendum is expected to deal with enduring issues about citizenship laws and land rights. Hopefully, the opposition will not try to capitalize on anti-immigrant, anti-Northerner, anti-Muslim sentiment during the campaigns for legislative elections. What, if anything, do we know about religion and extremism in Côte d’Ivoire? We know very little about religion and extremism in Côte d’Ivoire, and we hesitate to draw too strong a link between the two. We can, however, provide some background on Christian-Muslim relations in the country. Côte d’Ivoire’s population is split nearly evenly between Christians and Muslims, with a sizable minority of the population practicing traditional religions. Ivoirians are generally tolerant, and a prime example of interreligious peace included Muslim and Christian women working together during the crisis period to call for peace. More recently, in a new report by the Afrobarometer, Côte d’Ivoire led 33 African countries in religious tolerance, with 98 percent of a nationally representative sample reporting willingness to have neighbors from a different religious group. There is, however, research from Bouaké, a northern city at the heart of the civil war from 2002-2010, that shows an implicit Muslim-Christian bias persists. John McCauley at the University of Maryland found in that study that Christians tended to be more biased against Muslims than Muslims were against Christians. He also found that these interreligious biases could be reduced through calls for peace from public figures. What does all of this mean for Côte d’Ivoire going forward? This terrorist attack disrupts the country’s self-image as a paragon of economic growth and newfound stability. Côte d’Ivoire has been promoting a narrative of “emergence,” both out of conflict and as one of the African continent’s premier places to invest. Prior to the Bassam attack, the country had been untouched by Islamist violence or terrorist attacks. On top of pledges to raise the level of intelligence and logistical support for the Ivorian authorities, the French government is now preparing to deploy a paramilitary police force to respond to Islamist militants in West Africa. The new force will be stationed in Burkina Faso and comes in addition to the existing Operation Barkhane, which involves 3,500 French troops spanning the Sahel. One question is whether emerging inequality — the new money pouring into flashy projects rather than being more equally distributed to combat food insecurity and improve limited social services — could be a trigger for some to join AQIM. Some women’s groups with membership that crosses ethnic and religious lines have been pushing for national attention to poverty and access to food and health care in order to improve community cohesion and address local security risks across the country. Ouattara’s government will have a long road ahead to stabilize the security sector and make Ivoirians feel safe again. Nongovernmental organizations like the Forum for Civil Society of West Africa – Côte d’Ivoire Section (FOSCAO Côte d’Ivoire) will probably play a role in countering any anti-Muslim rhetoric throughout the country via civic education and awareness-raising campaigns, although this may be an uphill battle, as many citizens do not trust these local actors to be neutral.